Summer will be here before we know it, which means warmer days, vacations, and summer camps for your children! 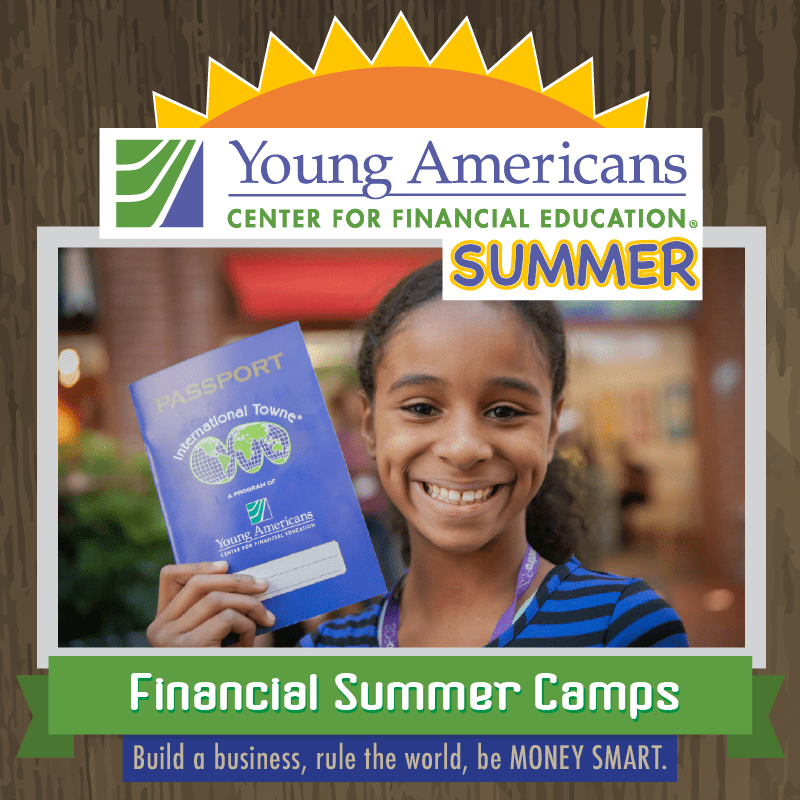 Keep reading for the top five reasons you should consider sending your child to a Summer Camp at Young Americans Center for Financial Education this year. And don’t just take our word for it–see what last year’s campers had to say about their experience! Camps are a great deal for families. Week-long day camps cost $245* per camper per week! Young Americans Center offers 11 different camps all summer for kids entering 3rd grade through entering 9th grade. Plus, there’s variety–kids can run Young Ameritowne or International Towne, learn how to start a business in YouthBiz, discover how women have changed the world in Girls Can, or Spark Change in their community. Campers will make new friends. Students work together during all the steps leading up to their final activity on Friday, whether it is running Towne, selling their goods at a marketplace, or participating in a service project. Lessons will help in later life. Skills such as how to prepare for a job interviews, how to make a budget, how countries in the world depend on each other, or even how to start a business are lessons that participants will use in the real world! It’s fun! Between engaging, activity-based lessons, students will do crafts, play games, and have a great time being kids. Registration for Summer Camp is going on now, and camps are filling up quickly! Don’t miss this opportunity to give your child money smarts. We hope to see you this summer! *Prices are subject to change, and camps offered by third-party organizations charge different prices.